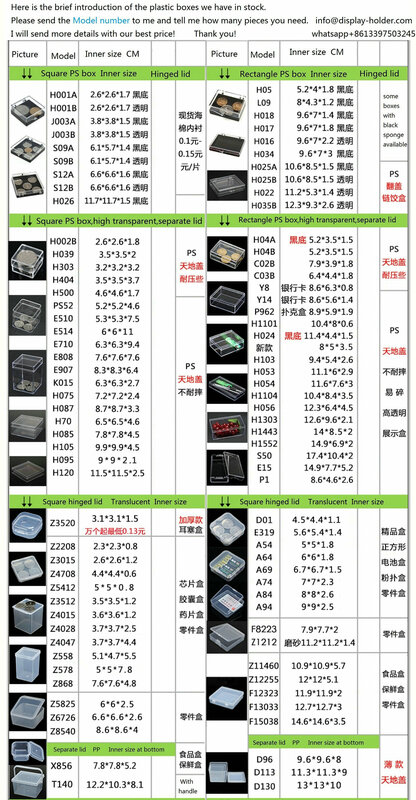 Each in bubblebag,2pieces per box,100pieces per carton. 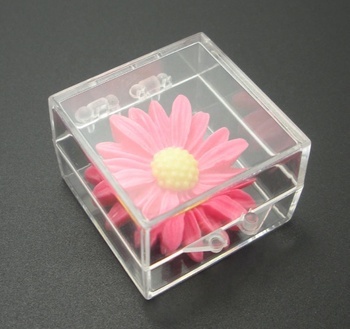 We are leading manufacturer of Small hinged clear plastic box in shenzhen. 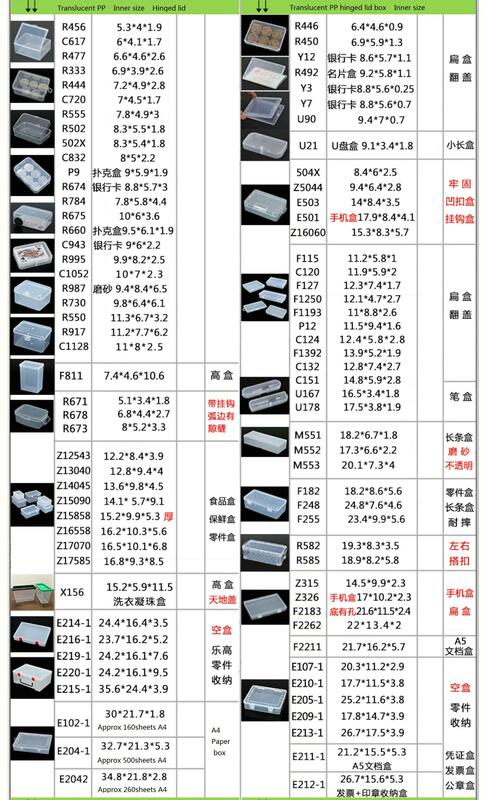 Feature This plastic is moulded for packing.Material is good quality.PP,PC or PS. 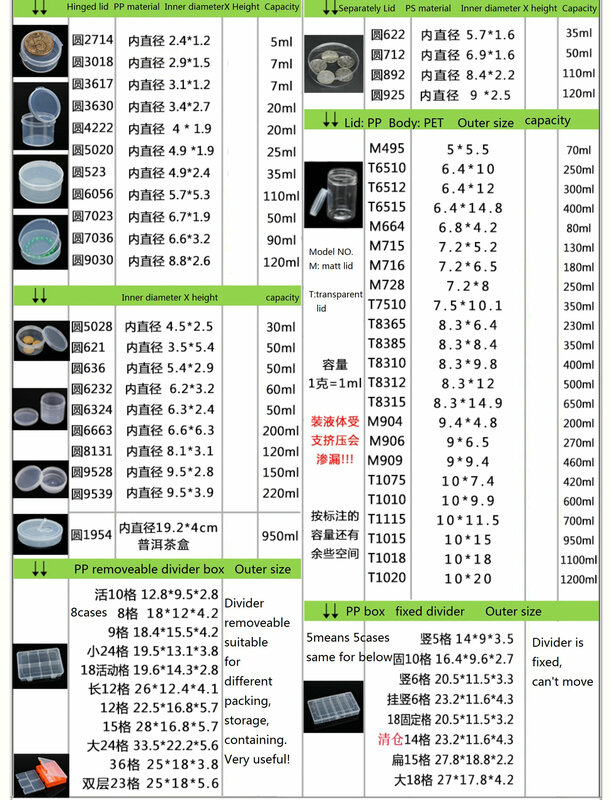 Please see below all size we have,send me the model number,and tell me how many pieces you need,so I will tell you our best price!